Cooler weather has finally arrived and with temperatures dropping, what better reason to get away for a cozy, intimate stay at Sage Hill Inn & Spa. The Autumn sunsets are gorgeous and you'll be mesmerized by the sweeping view of the stars, especially when you've gathered 'round the main firepit with a bottle of wine, snacks, even toasted a marshmallow or two. Sage Hill Inn has one of the largest grounds of any Texas hotel, resort or bed and breakfast, so enjoy the amenities while you're here. 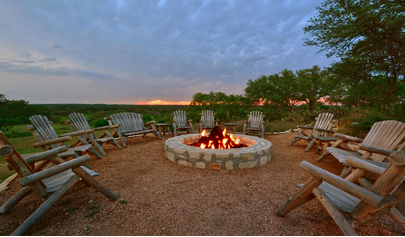 Take in the stunning scenery of the Hill Country during your stay, as well as nature hikes, bocce ball and horseshoes. 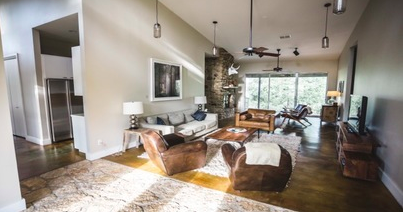 In the Sage Hill rooms, you’ll find lots of space to stretch out and enjoy fireplaces, luxurious bathrooms, entertainment centers, faux down mattresses, relaxing porches, and many thoughtful features. Come and stay awhile for this wonderful time of the year!